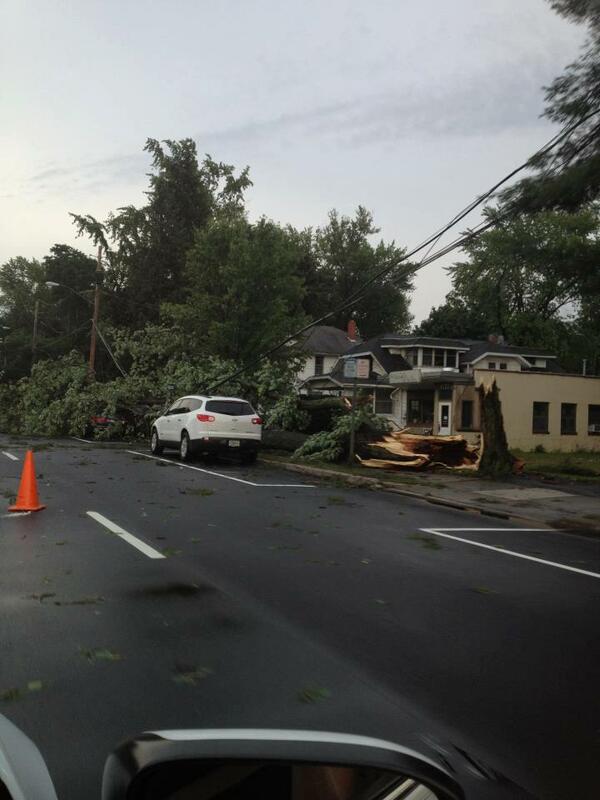 On a July afternoon in 2012, a tornado ripped through the small town of Elmira, New York. WENY meteorologist John Hickey (Lyndon State ’10) had already wrapped up his morning shift, but stuck around to see what the severe weather would bring. He and chief meteorologist Joe Veres (Lyndon State ’99) found themselves in the middle of a severe weather outbreak, something they don’t see very often in western New York. I asked John to take us through that afternoon, and offer some ideas on how to cover severe weather as a new broadcast meteorologist. Please explain what happened that day and how you and your weather team handled the storm? It was one of those days that you just don’t forget. It was July 26th, 2012. Starting the previous day, the set up was looking ripe, by Northeastern States standards, for some tornadoes. The biggest question was were we going to see enough hazy sun to destabilize the atmosphere for tornado development. I mentioned that in the morning and kept a close eye to the sky. A tornado watch was issued around mid morning so I called the chief to go over a game plan. If we needed to break in for severe t-storms or tornadoes, we agreed that we both needed to be there. I actually ducked out of the office to grab some lunch and a quick work out because I knew it was going to be a long day. As I was getting ready to leave the gym, the severe t-storm warnings were starting to edge pretty close to the viewing area. So it was off to the station. I pulled in when some severe t-storm warnings were edging into the far western viewing area (Steuben County). The next warning issued was a tornado warning and it was becoming obvious that the possible tornado was heading for the largest city in the viewing area; Elmira. We broke into programming around 3PM and didn’t sign off of wall-to-wall coverage until roughly 4:30PM. I was deemed the “radar expert” so the chief would toss to me for updates about what the storm was looking like in 3-D on our GR Level 2 Analyst radar. I would also reference landmarks about what the possible tornado was near (roads, highways, recreational areas, etc.). Once the tornado warnings were over, I helped the chief prep his evening shows and I was giving directions to reporters to the hardest hit areas per damage reports via the NWS chat line. What are some tips you could give a broadcast meteorologist starting out about how to cover severe weather in a small market? The best advice I can give is know your DMA like the back of your hand. When you start at a new station, spend your first few weekends (or equivalent weekend depending upon your work schedule) just driving around and getting a lay of the land. That was really useful during the tornado event because I didn’t have to spend a lot of time looking up landmarks that viewers could relate to. The wording in the tornado warnings sometimes isn’t the best (i.e. 5 miles Northeast of Corning in Steuben county). Viewers aren’t going to understand that. However, if you tell them the tornado is near Bubba’s baseball field across from the bowling alley on Rt. 414 headed towards the Buttermilk Falls hiking trails; it makes it more real. The viewers will have a better sense of where they are in relation to a landmark than some town or county. Another good idea is to give an overview of what’s going on repeatedly. People will be tuning in at various times. You will sound like a broken record but you have to make sure everyone who is watching is on board with what’s happening. “There’s a tornado warning for ________ county. A funnel has been sighted/it’s radar indicated. It’s located near _____ and moving towards the _________ at _______ mph towards ______”. Every few minutes saying something like this is helpful for the viewer to understand what’s happening. Showing them 3D cross sections of the mesocyclone is good stuff but be sure to revisit the vital stuff about where it is and where it’s going frequently. The other big piece of advice; STAY CALM. It’s exciting, no doubt. Tornadoes are a really intense phenomenon and you will feel a wide range of emotions. The best thing to do is to reassure viewers that everything is fine. Tell them to crank the volume up on their TV so they can hear you while they get to their basement. The adrenaline is pumping but you have to keep it cool like the late Mr. Rogers. Oh and one more thing; you don’t have to be a tornado whiz kid. Don’t get hung up on trying to explain rear flank downdrafts. Keep it simple!!! What did you learn about covering severe weather that day? What would you do differently next time? I learned what the tornado rush is all about that day. We had a few brief tornado touchdowns previously, but this was the longest track tornado I have personally forecast for. Going back and looking at what little footage we had of our coverage (we took a power hit and our DVR stopped recording for most of our coverage), it was painfully obvious that I had never been in that situation before. I was talking too quickly and stumbling all over myself. If/when it happens again; I’ll try and relax more. I’ll try and whip up more explainer type graphics too. 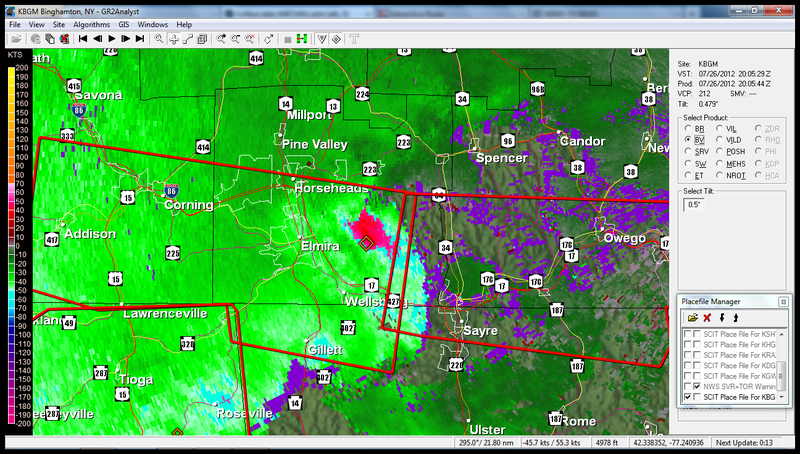 It just gives the viewer something else to look at other than radar and warnings. We’re a small shop so we don’t have the luxury of a large web cam network. 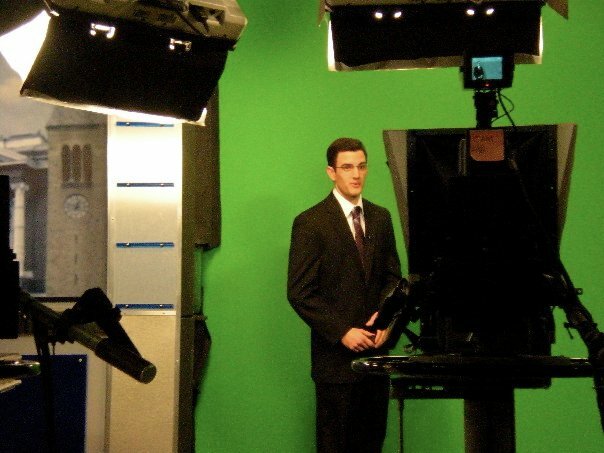 How has Lyndon State College prepared you for a career in broadcast meteorology? Lyndon State IS the reason I have a job in broadcast met. They gave me all the tools to get me going. I got the background in the science and on-air experience before I ever left campus. In fact, going to Lyndon, and through the good graces of Dan Dowling, I was able to work in a part-time capacity at WCAX in Burlington, VT before graduating. That experience gave me a huge leg up on the other graduates sending out tapes who might have only had campus TV and/or internship stuff on their resume reels. Getting to work one-on-one with Jim Cantore was really helpful too in getting a more polished looking product before entering the “real world”. Thanks John. You provided some great tips and information. One of the reasons many students get into meteorology is because weather is always changing and always uncertain. We do our best daily to stay on top of things and keep people safe. Severe weather, and especially tornadoes, always make us respect Mother Nature a bit more.